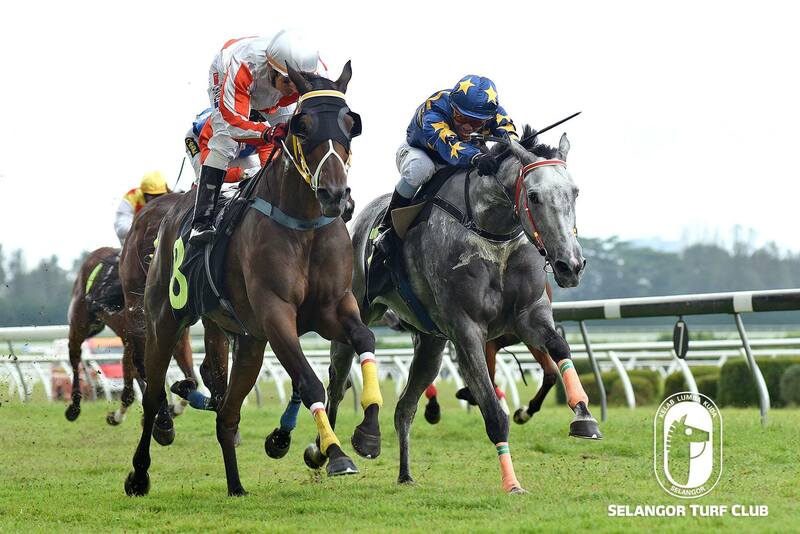 Trainer Tan Soo Beng’s Aspen (outside horse), did a sparkling workout at Selangor Turf Club today (Tuesday). Taken out by Jockey Oscar Chavez, the eight-year-old by Alamosa, did a trot on the sand track first then switched over to the grass track and reeled off a good turn of speed over 600m in 35.2 seconds on a tight hold. Last outing, Aspen showed form when finished a game third to Prince Raven in a Class 4 event over 1200m at this course early this month. Stepping on that performance and with an impressive workout, Aspen is worth a bet in a Class 4 (A) over 1400m on Sunday. Metro A – 1400m (Card 1): Stick Seeker did a trot and then galloped strongly in 37 seconds. Class 4 – (A) – 1400m (Card 4): Xzuberance did a canter then sprinted smartly in 37 seconds. Class 4 – (B) – 1400m (Card 5): Trumps Up did a trot and then sprinted keenly in 35.6 seconds on a tight hold. Class 5 – (A) – 1200m (Card 7): Super Eight did a strong canter and then did a dashing workout in 37.9 seconds. Class 5 – (B) – 1200m (Card 10): Salahddin did a trot and did an eye catching workout in 36.4 seconds looking fit. The going was yielding: Slow work on the sand track, fast work was done on the No.2 grass track.